There was a brief, glorious period in the mid-2000s when you actually had a choice of vehicles in what I’m going to call the Friendly Box segment: the original Scion xB, the Nissan Cube, the Kia Soul, and, I suppose the Honda Element. Of these, only the Soul survives to this day in the U.S., and I think that’s a shame. Mazda never had a Friendly Box offering, but that doesn’t mean they didn’t consider it. 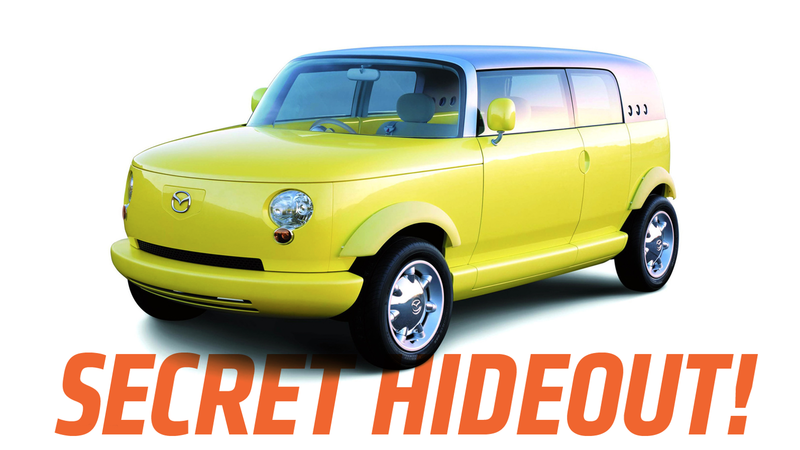 In fact, in 2001 they showed an amazing concept car that fit the category, with an equally amazing name: Secret Hideout.